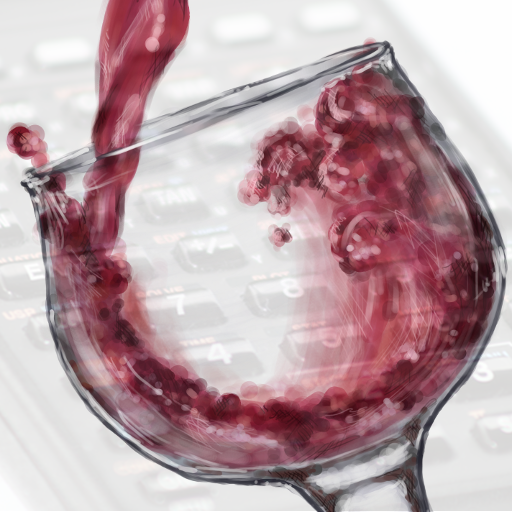 Using the WineCalc app, you can convert volumes, mass, or temperatures to other units. Common conversions such as liters to gallons are in there, but also less common conversions like 59Gallon(US) Barrels to Standard Cases(750ml bottles), or Splits(375ml) to USGallons. These conversions simplify life for the Winemaker on the go. 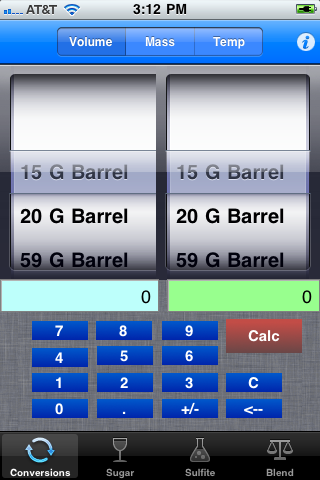 Performing sugar additions is a snap with the sugar additions calculator. 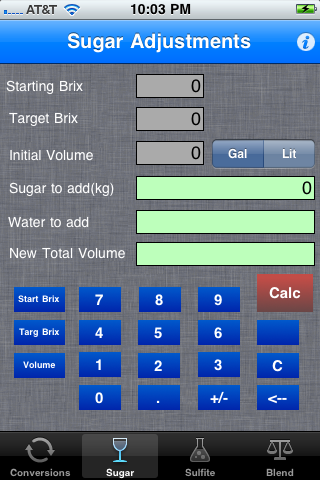 Select your starting brix, your target brix, and your volume (gallonsUS or Liters) and the calculator figures out how many kg of sugar to add. 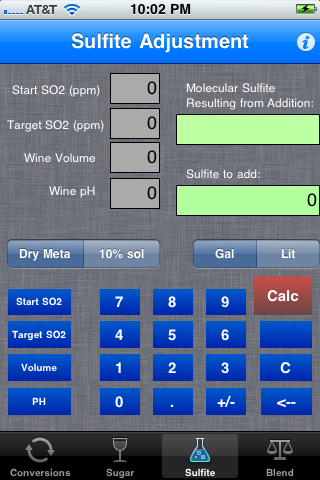 Sulfite additions are made easy with the sulfite calculator. Enter your starting SO2, target SO2, wine volume, and PH. Tap the calc button to compute how much sulfite to add. Select USGallons or Liters for your volume. Powder (dry) meta or stock 10% solution can be chosen as the sulfite additive. The blend tool allows you to blend two wines (source 1 and 2) and target a property in that wine to blend for. 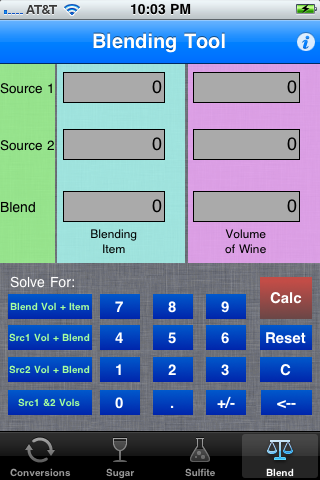 For example, to blend two wines of two different acids to achieve a lower acid blend, you can select the “Solve For” key that says “Src1 Vol + Blend” to hilite the fields to fill out. The Source 1 acid can be entered in the source1 item field, source2 acid can be entered into the source 2 blending item field, and the source 2 volume can be entered into the source2 volume field. The desired acid in the blend can then be input into the blend blending item field. 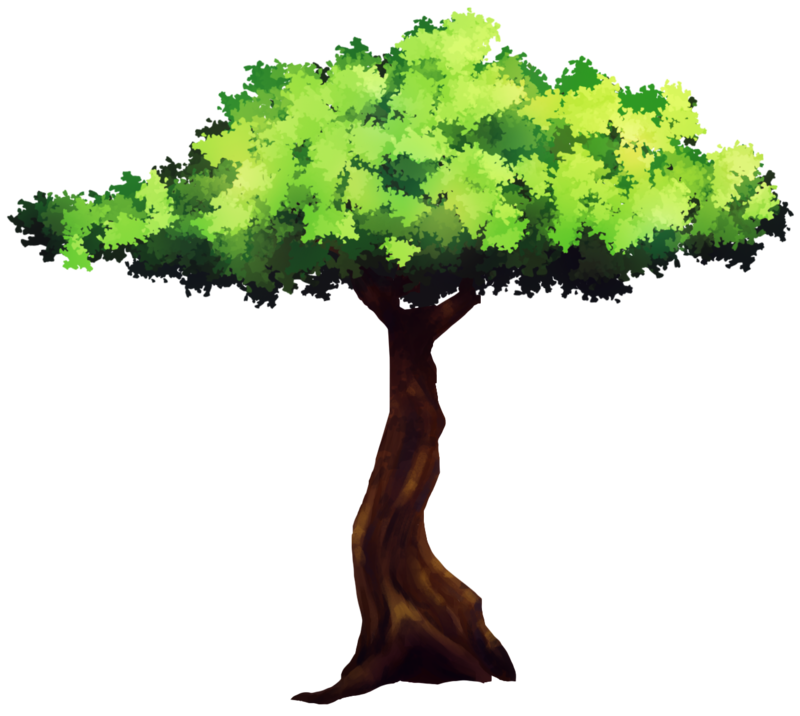 Then press Calc. The resulting volumes will tell you how much source1 wine is required to blend with source2 in order to drop the acid in the resulting blend to .65. Similar calculations can be done for Src2Volume and blend, src1 and src2 volumes etc. These calculations make blending down components or blending up components an easy operation.